Reconstruct the geographic locations from present day coordinates back to their paleo-positions. Each location will be assigned a plate id and moved back in time using the chosen reconstruction model. 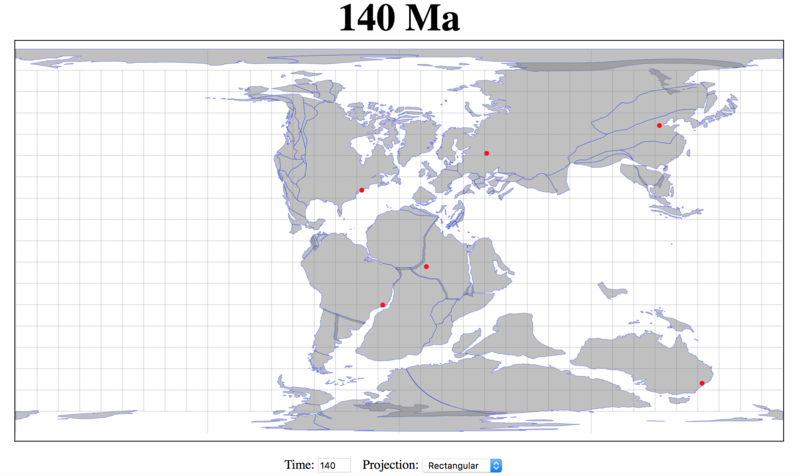 The URL below reconstructs two locations((lon:95,lat:54)(lon:142,lat:-33)) back to 140 million years ago using the "default" reconstruction model. 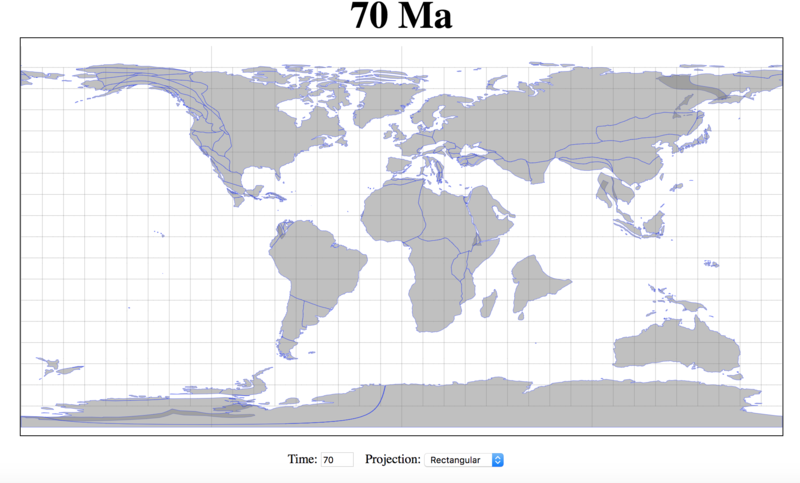 Reconstruct feature collection in GeoJSON format back in time. Each feature will be assigned a plate id and moved back in time using the given reconstruction model. 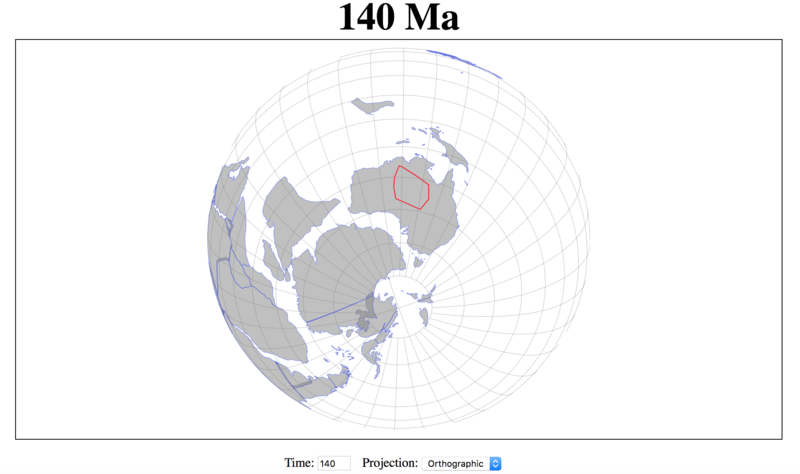 Reconstructed features will be returned in GeoJSON format. User's program requires short response time and low latency. User has a large volume of data to process and can provide much more computational power than GPlates server. User has concerns about sending their data to a remote server. User cannot access internet service all the time or the internet service is very poor. 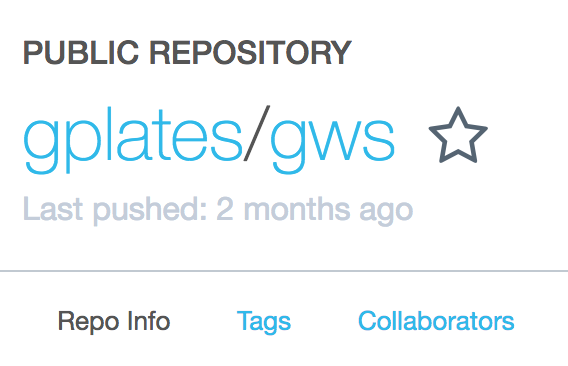 The GPlates Web Service Docker container can be downloaded from Docker Hub. The GPlates Web Service is created and maintained by EarthByte group at the University of Sydney.